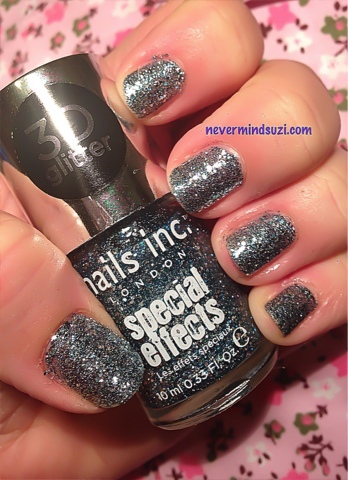 Today I've got 2 full overage glitters from Nails Inc for you. I'd fully intended on having an accent ring and thumb but considering I did this mani half asleep I forgot lol. 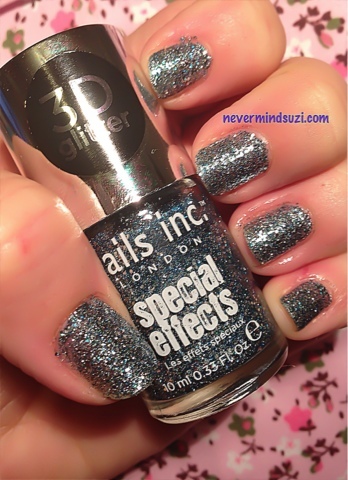 Maida Vale is a silver glitter with light blue glitter mixed throughout to give it an edge. What I didn't notice til much later under better lights there was a subtle lilac glitter/shimmer which really gives it a lift. Hammersmith is again a silver glitter but this time with teal glitter mixed through it, this colour popped a bit more and wasn't just as subtle. Both mani's were opaque in 2 coats. Dollish Polish - Anybody Want A Peanut? Dollish Polish - Is This A Kissing Book?